InspireMovement, LLC creates a nurturing environment where individuals stretch themselves beyond the seemingly impossible, utilize creative energies to explore moving their bodies in space, and ultimately become inspired to passionately follow their dreams while building a balanced, healthy and fulfilled self. 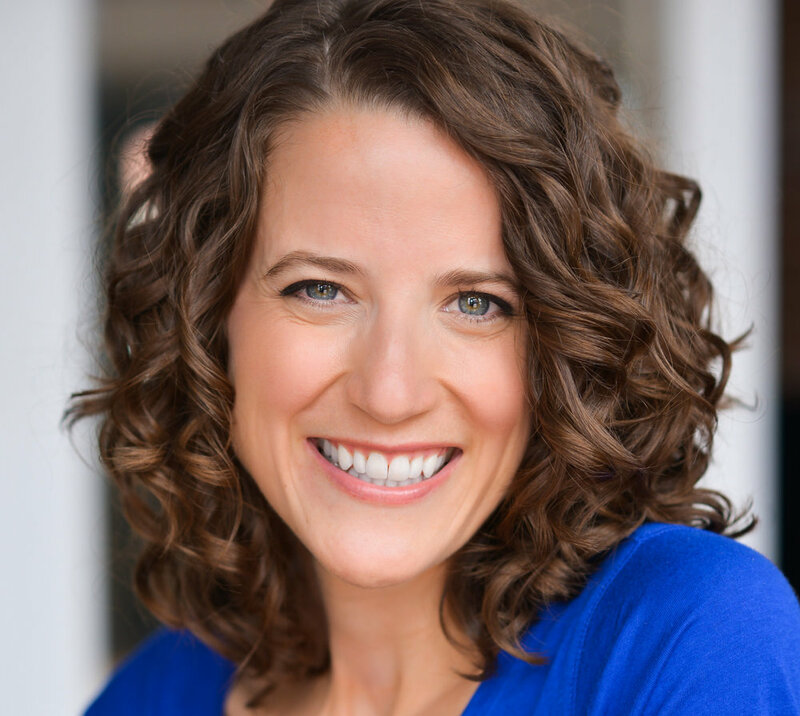 As a Yoga teacher, Dance teacher, Running or Walking Coach/Motivator, Inspirational Speaker, and Special Projects Consultant, Colleen inspires others to ignite their inner passion and move! While getting fit is certainly a byproduct of InspireMovement, the true goal is to encourage and support individuals to take steps to conquer their goals. Whether the dream is to dance for the first time, complete a first 5K, conquer the Yoga headstand, or simply get back into shape to chase around the grandkids, InspireMovement will guide you through the entire journey and celebrate the beautiful transformation as you manifest your dreams and embody the core belief of our practice: impossible does not exist. 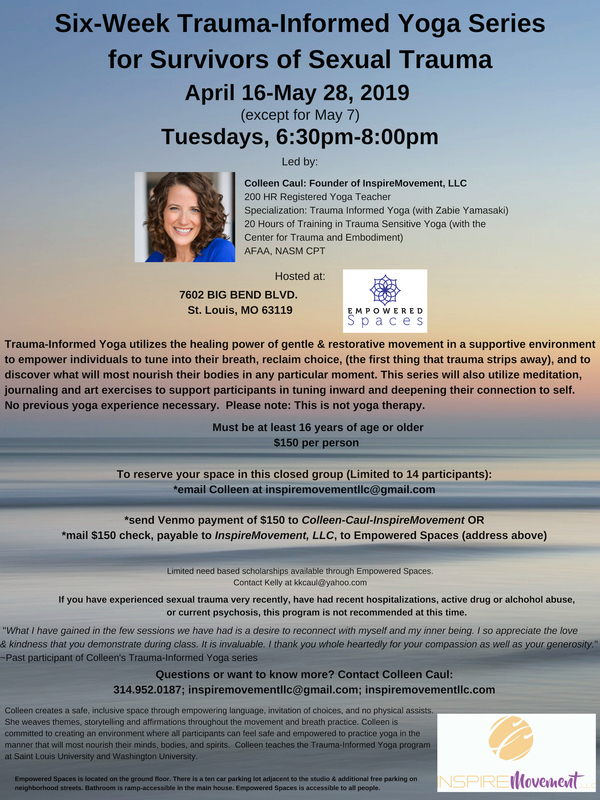 6-Week Trauma-Informed Yoga for Survivors of Sexual Trauma at Empowered Spaces, April 16-May 28. For more details, click here.